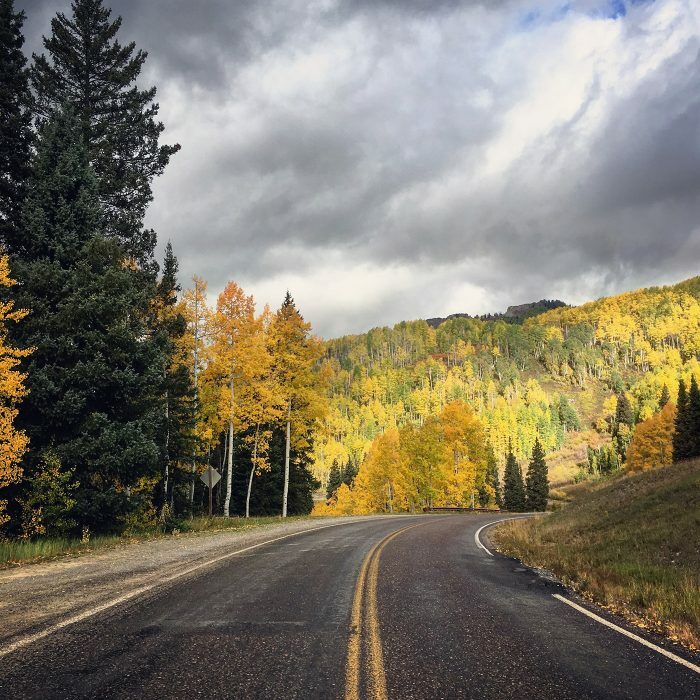 Colorado leaves turn at different times dependent on elevation and the length of daylight. Check the local news stations or SmokeyMountains.com for interactive maps. 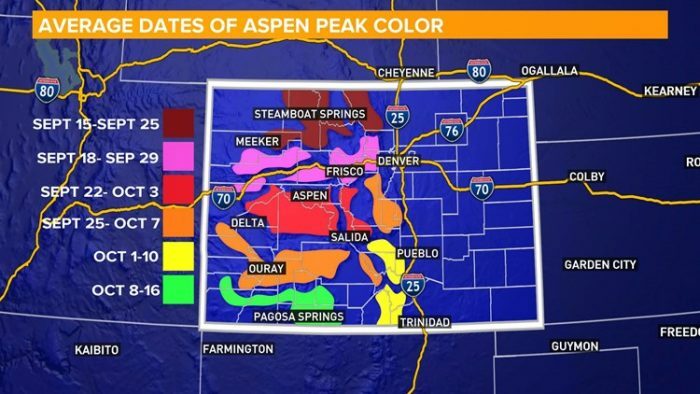 However, since the majority of Colorado suffered a drought this year some are predicting peak colors happening a little early this year. 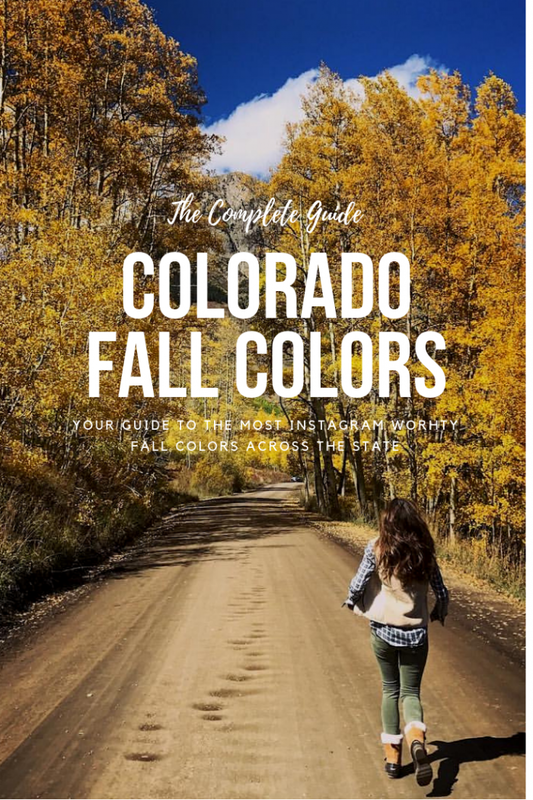 Want to know where the fall colors are peaking right now? Then slide on over to Instagram! Check the following hashtags to find the best fall foliage shots. Once you find a spot you like, check the geolocation – the amazing shot you’re looking at could be old so check the geolocation and then sort by the most recent post to see exactly what the colors look like right now in that area. Anytime you head out into nature, please be respectful. Leave no trace, don’t pick the foliage and don’t feed the wildlife. Please! TAG ME! Tag your story or post with #bmbfallcolors and I will post it on my story! 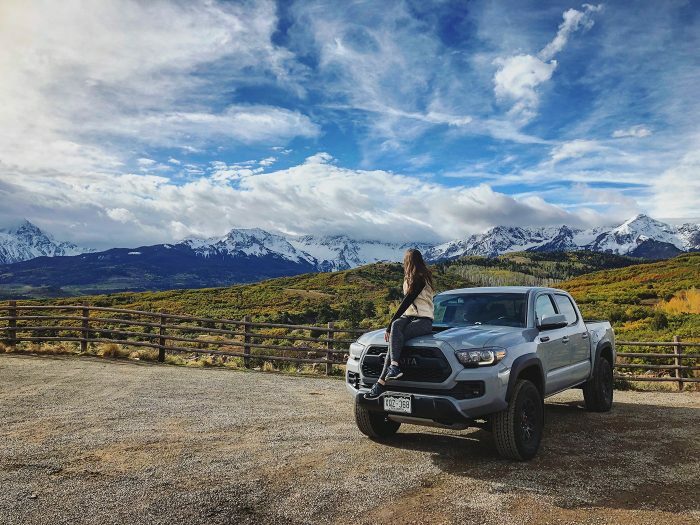 Last September, I took a road trip across the state with Toyota and the leaves were incredible. We literally pulled over every five minutes to snap pictures. The gorgeous gold and red leaves against the severe snow-capped San Juan Mountains is hands-down one of the most beautiful sights I have ever seen. Read more about the trip and see more photos here. 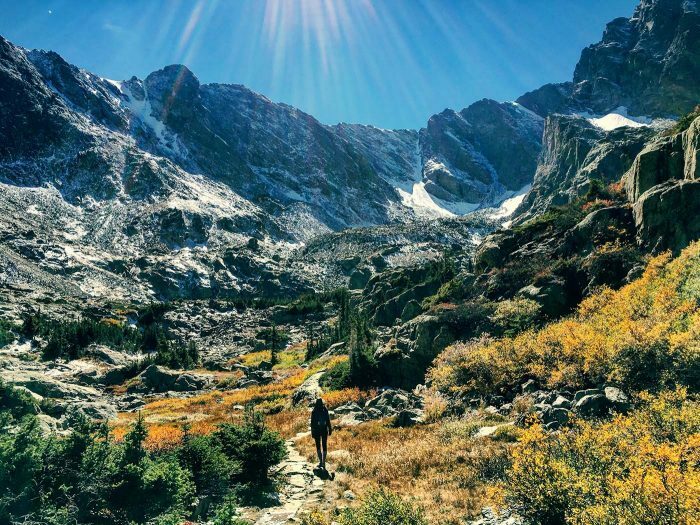 The Front Range will turn a little later so if you can’t get out until early October, head to Rocky Mountain National Park. 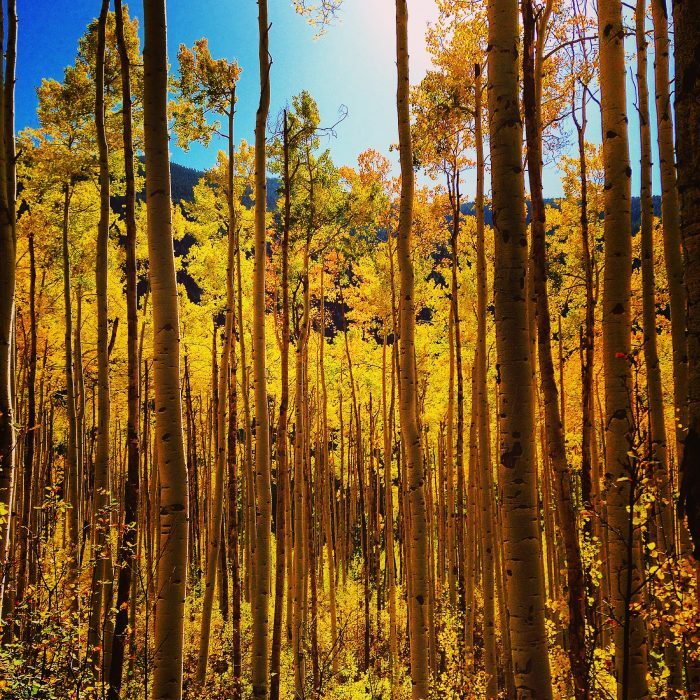 We have only done the Sky Pond hike and while it’s a beautiful hike, only the beginning is in Aspens. But there are tons of great fall hikes there. Sky Pond hike info and RMNP Fall Hikes. 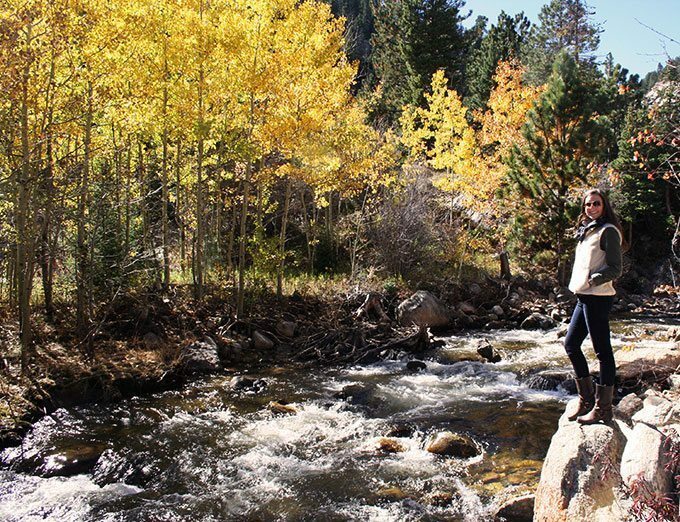 If you’re looking for a quick day-trip from Denver, head to Guanella Pass. Take 285 to the town of Grant then head over the pass to Georgetown and loop back down to the city on I70 to CB here. Any road, anywhere in CB will take you to gorgeous groves like the ones pictured here out on Gothic Road. The drive from Buena Vista to Crested Butte is also littered with Aspen groves. Unfortunately, the entire pass is still closed for construction so you will only be able to go up from Buena Vista to a certain point and have to turn back around. I spent a fun fall weekend in Aspen a few years ago and the leaves on Independence Pass were great! 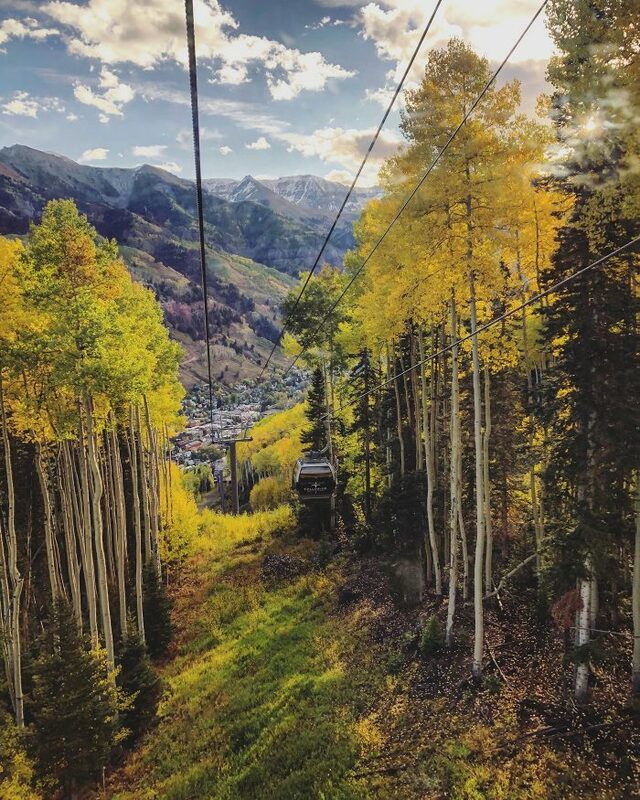 I’d love to go back during peak season and make it to the Maroon Bells. Omg! This picture is so old! It’s from 2013! I feel like the roads were closed due to a slide so we didn’t make it end to end, but this is another great Front Range option. Read more here. Send me or tag me in your fall color pics! I’d love to see your favorite spot and your best shot! 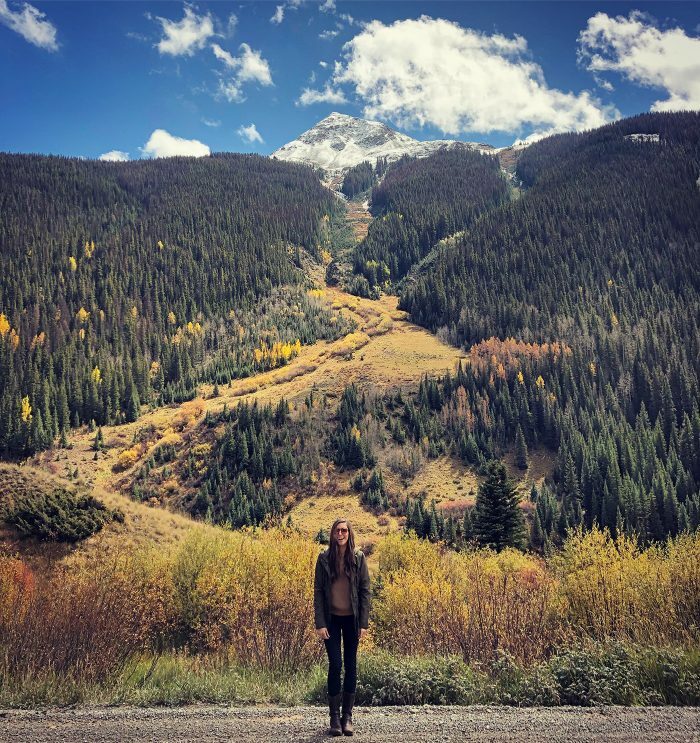 While off on your Colorado Adventure check out my CO mountain town guides of where to go eat and drink!